Our Mission Hills Slat Bed exemplifies Amish craftsmanship and timeless Mission styling with solid wood construction and slat head and foot-board. The Mission Hills Collection features simple, straight-line construction with delicate adornments on the head and foot-board. Handcrafted in solid hardwood, the Mission Hills Slat Bed is certain to endure years of use to become a treasured family heirloom. Four slats, dovetailed into the side rails of the slat bed, securely support your box spring and mattress. To better ensure the integrity of your bed, Queen, King, and California King sized include additional frame support. 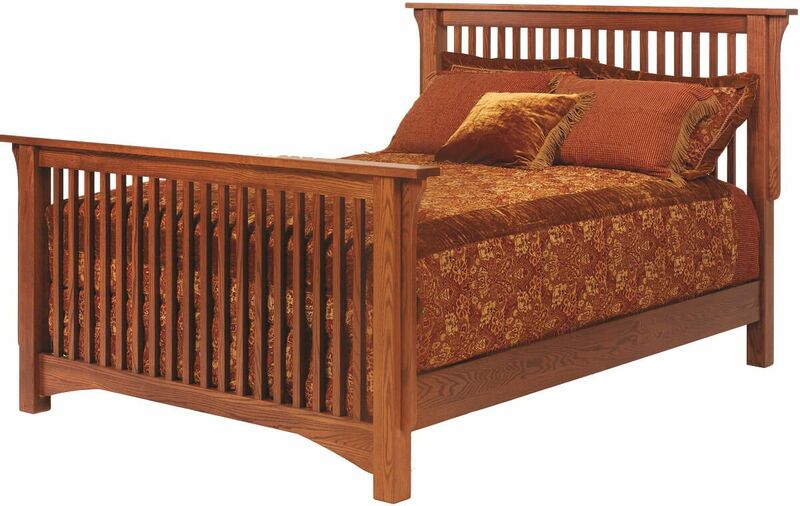 Kings are built with a support leg under each slat while Queen-sized beds have one leg under the two center slats. Be sure to include the under bed storage unit with your Mission Hills Bed and reduce clutter in your master bedroom or guest suite. 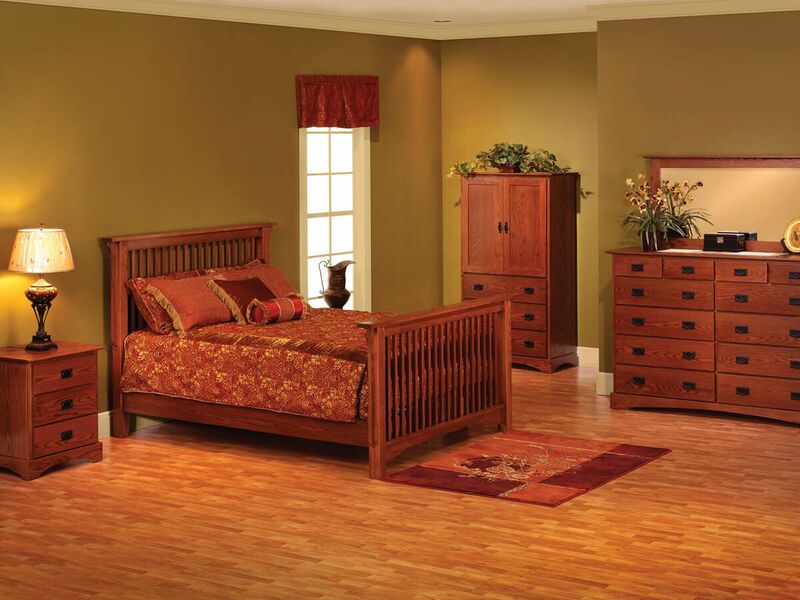 Create your mission hills bed today by selecting from an assortment of wood species and stain combinations.